As of today our two weeks at St. Andrews State Park are up. In fact, by the time you read this we will probably be well on our way down the road. It was originally our intention to only spend one week here, then head inland closer to where we have a scheduled family meet-up at my grandmother’s house the week of Christmas. But as sometimes happens, life had other plans. Due to Tim’s previously mentioned mandatory dentist visit, we had to stay in the area for an extra week. Which in the end was really not at all a bad thing. First of all, it gave us a chance to make a day trip to St. Joseph State Park, and second it gave us an extra week at a very nice campground. St. Andrews seems to be one of the less popular state parks along this stretch of the panhandle. I suspect that’s because while the park is very nice, the surrounding are leaves a bit to be desired. 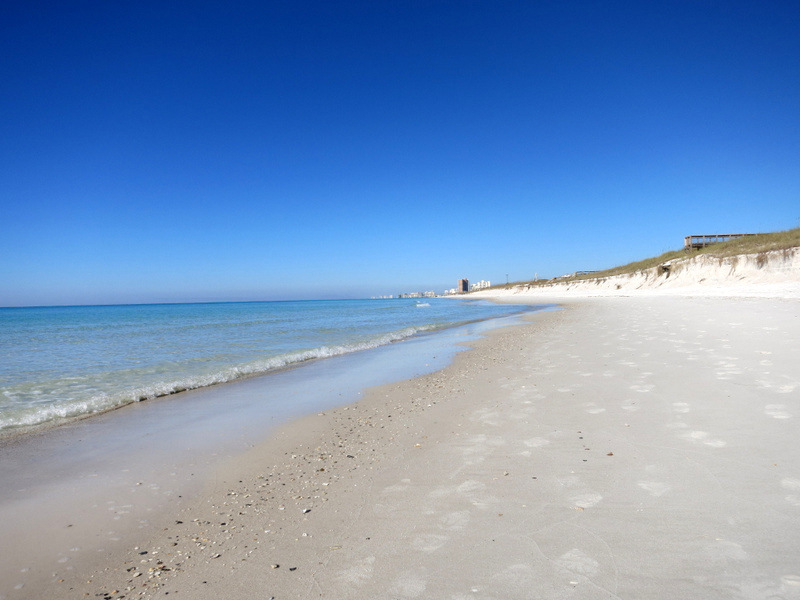 Panama City Beach is basically a built up tourist town catering to families on vacation and college kids on spring break with tightly packed high rise hotels, souvenir stores, surf shops, miniature golf, go cart tracks, arcades, and a myriad of other attractions. Not that we’re totally against all of those things, but in general we are more the type to seek out a quiet place with natural beauty as the top attraction. Not exactly what you find at Panama City Beach. Fortunately, it’s the off season, which means all those places are closed and it’s pretty quiet around here, and even more fortunate, all of that hub bub is completely forgotten when you enter the state park. 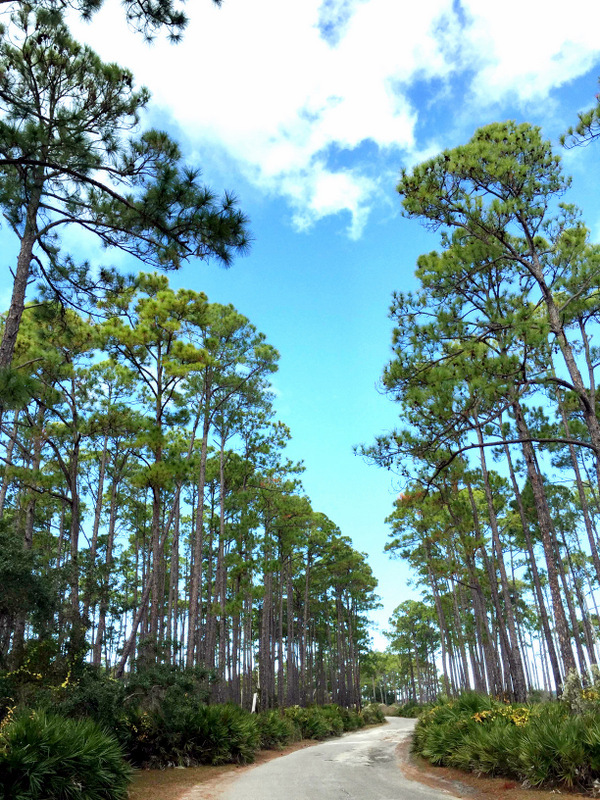 If I was to compare the two campgrounds where we’ve stayed in the Panhandle, I would say that Grayton Beach has the nicer beach and a more appealing surrounding area, but St. Andrews has a much nicer campground. It’s a pretty large campground with close to 100 sites, and roughly a third are on the water. Not facing the ocean, but instead a quiet bay with a marina on the other side. 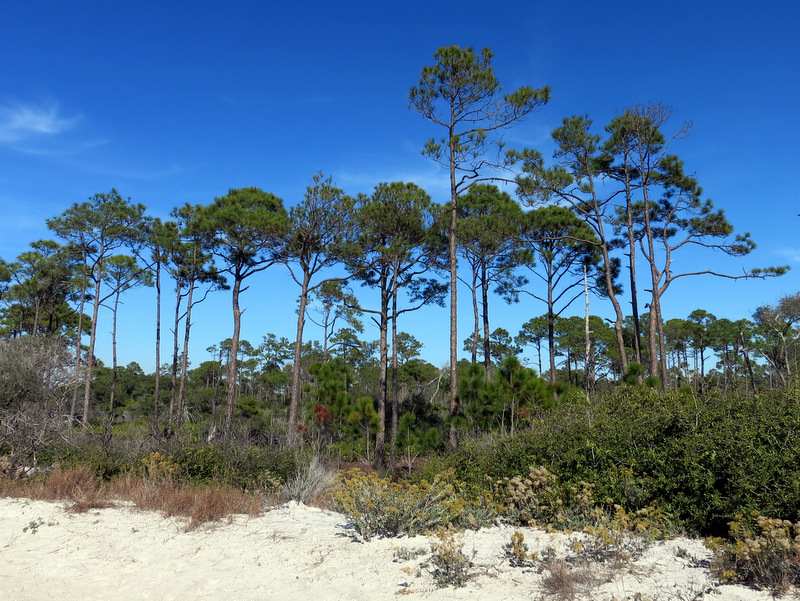 It’s almost jungle-like around here with tall pines and a thick palmetto undergrowth. 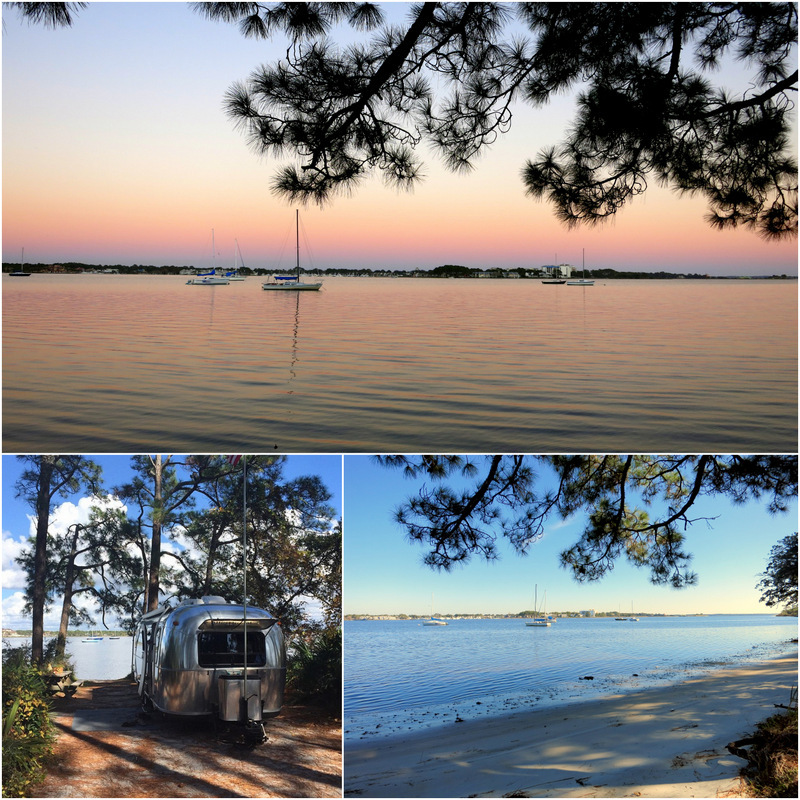 As is the case at most campgrounds, not all of the sties are created equal, but for the most part you can’t go wrong with any of the waterfront sites at St. Andrews. The first week we had site 112. 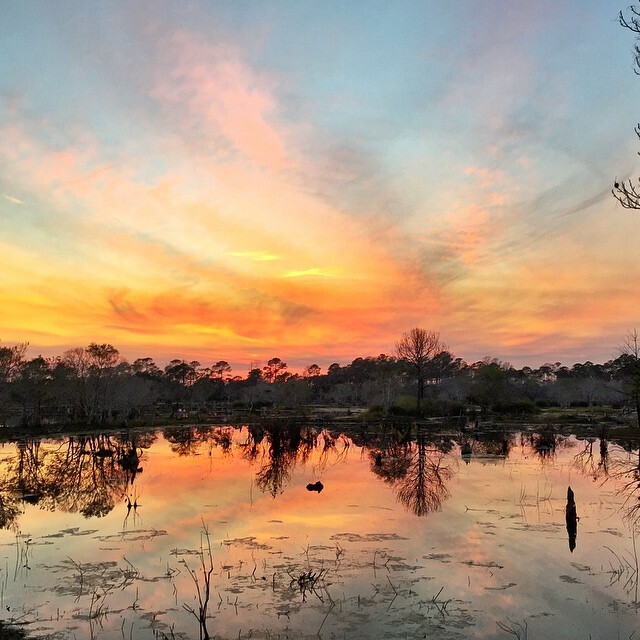 I booked this site after some extensive research many months ago, and was pleased to find that just like the my trusty Internets told me, it really is one of the nicest sites in the campground. We even had our own sandy beach! 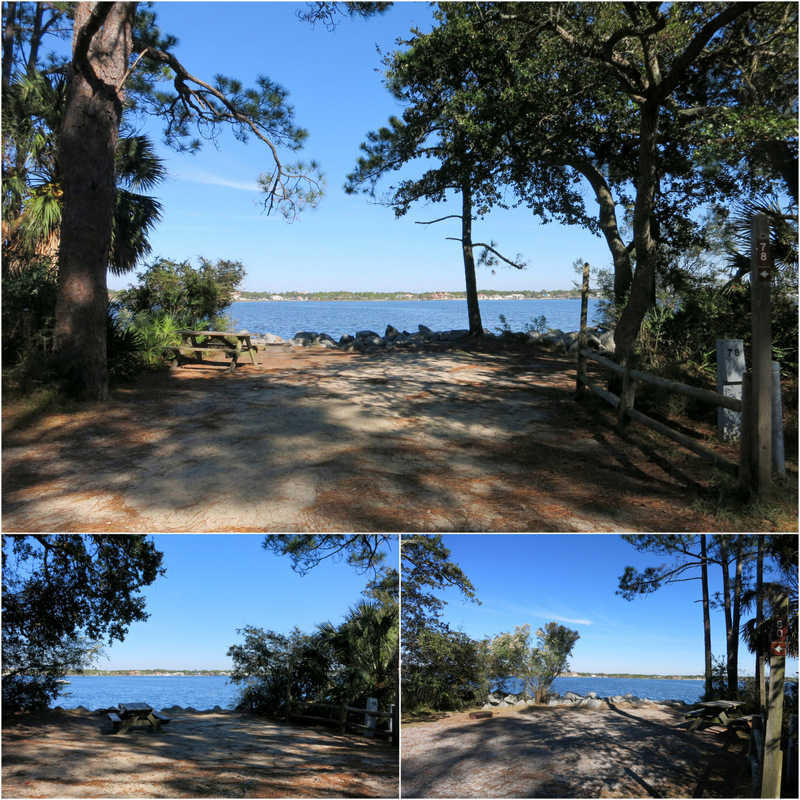 Site 112 – great views & our own beach! We tried to book it for our second week, but someone else already had it reserved. So we moved down the row to site 134 where the site was not quiet as perfect, but still very nice. 134 was a bit narrower, not quite as private, and lacking a sandy beach, but still had a nice water view. A few of the other sites we liked were the even numbered sites between 78-90. These sites are short, and to fit we would have to wedge the truck in sideways, but those wide open water views can’t be beat. From our site it was almost a 1.5 mile walk or bike ride to the beach. We didn’t spend a ton of time there simply because by the time Tim was done work around four o’clock is was practically dark out. We’re right on the edge of the central time zone here, which means the sun sets ridiculously early. It starts sinking about 4:30 and by 4:45 is completely gone. 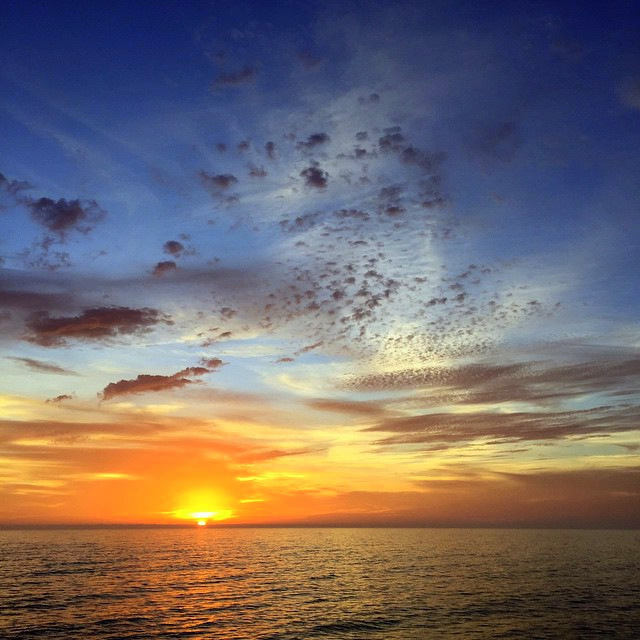 Consequently, most of the time we spent at the beach was around sunset. 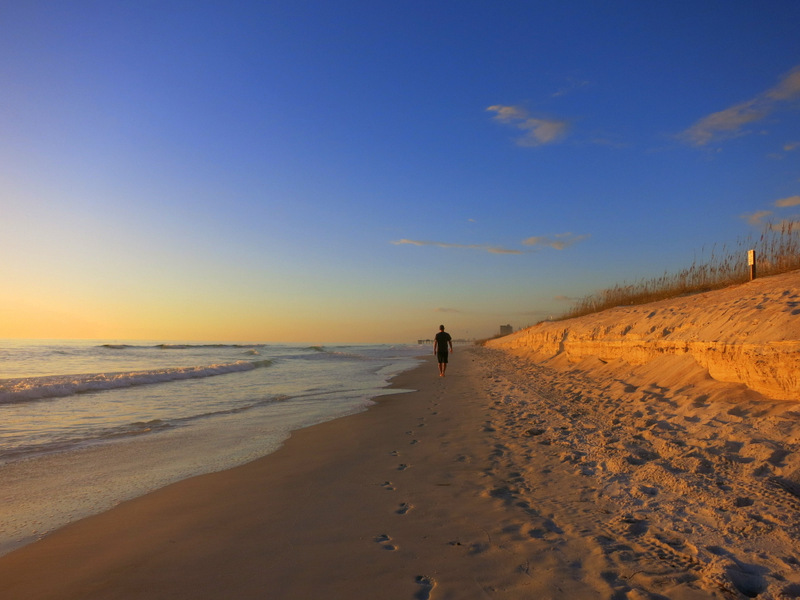 When I say that the beach at Grayton Beach was nicer, I don’t mean to say that the beach here is ugly in any way. I guess it’s all relative. There is still the same white sand and the same clear turquoise water. The difference is that it’s a bit narrower here, and you can see the tall hotels of Panama City Beach looming in the distance. As I said, it’s all relative. Probably the best thing about spending an extra week here was that it allowed us to meet up with not one, but two other Airstreamers. John & Laura arrived first and secured a spot a few sites down from us. We’ve met up with this full-timing couple a few times in different spots around the country. The last time was over a year ago when we parted ways after our caravan to Canada, so it was great fun to run into them again. 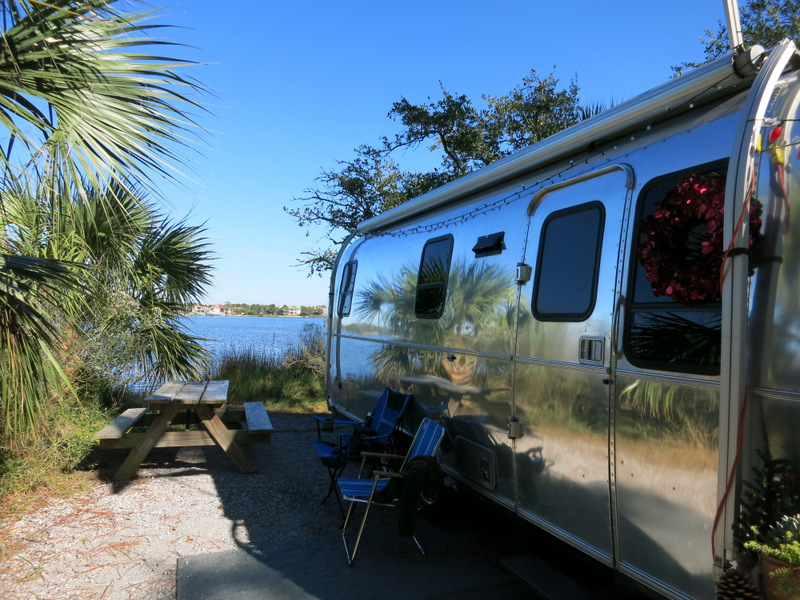 A few days later a part-time traveling family of four, the Swanstreaming crew, arrived with their 28′ Airstream. 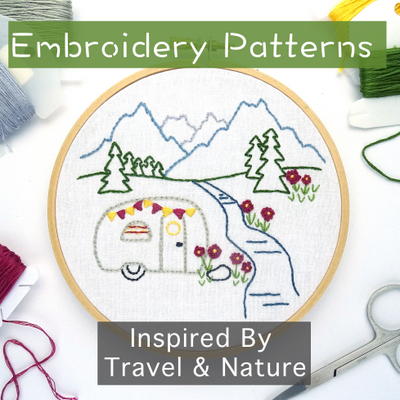 Like so many of the people we meet on the road, we first became acquainted with them through social media. 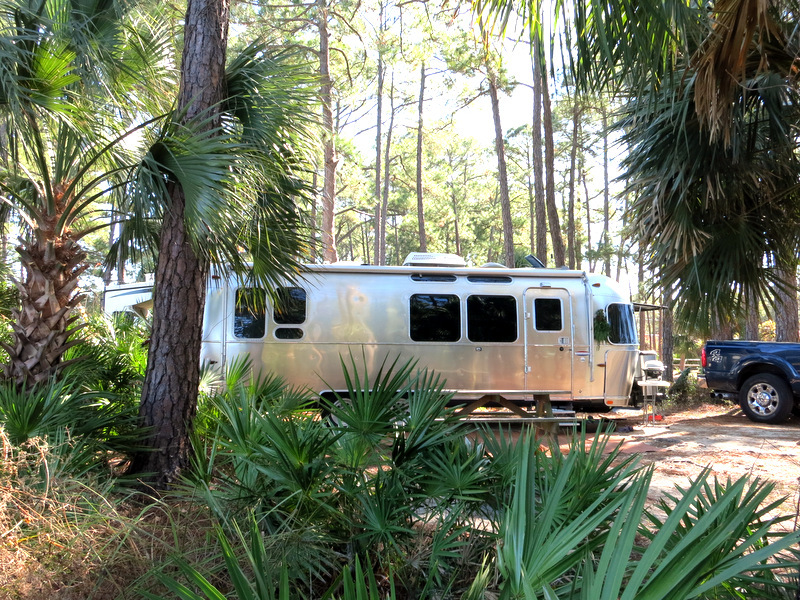 In fact, like so many of our Airstream gatherings, it was as a direct result of the photo sharing site Instagram that this group meet-up happened. I posted a picture from St. Joseph and Laura commented that they were headed our way. Then the Swanstreaming family chimed in to say they were coming this way too. 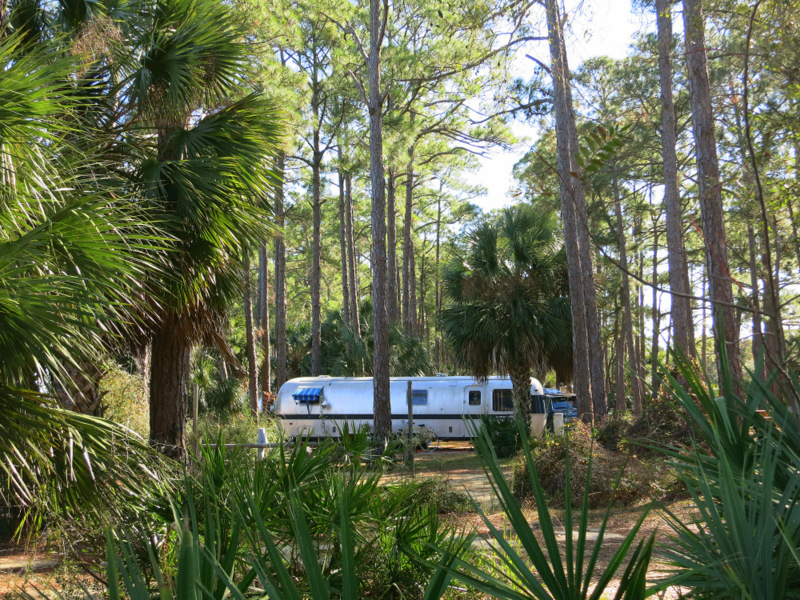 Site numbers were shared, and a few days later we had a spontaneous Airstream gathering. 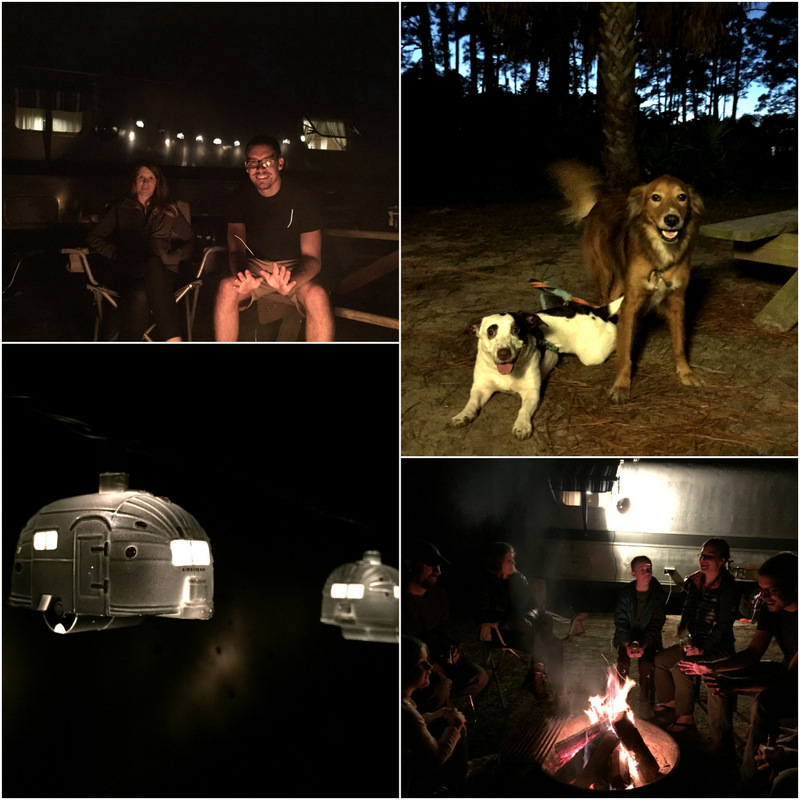 We’ve had a few get togethers this week, including a night out with Laura & John at the local pub, a group sunset stroll to the beach, and finally last night a potluck with bonfire, including a spontaneous “house” tour. We’ve seen Laura and John’s fun and funky 34′ Excella model before, and as usual I was jealous of all that extra space. But I was even more jealous of the gorgeous 2014 28′ Serenity model that the Swans call home. I am totally in love with the design and finishes in the Serenity models (check them out here). If only Santa had a bigger sleigh (and a bigger budget) so he could bring me one for Christmas :) No pics from the house tours, but here’s a few night time shots of our gatherings. As usual, we had a blast with our fellow Airstreamers and hope to cross paths again somewhere down the road. For now though, we’re headed east to St. George Island State Park for one last night at the beach. this is one park I looked at, but never ended up staying. I like what I see. Are any of the beach areas dog friendly? We got hooked into staying some extra nights at that park last year after being at Grayton. It’s so lovely to be right on the water and watch the activities that go on. Even had dolphins jumping off our spot. So glad you enjoyed it, and hooray for fellow RVer meet ups! I remember when you stayed here. That’s probably how I first heard of it. We never saw dolphins, but had a blast watching the pelicans and jumping fish. I think you would love it here. The campground has a such a nice woodsy feel to it. Another great “beach” report! Thanks for sharing the site numbers. We hope to hit all these spots next year. Beautiful. We’ll be at Grayton early January. Maybe we’ll have to swing by St. Andrews too! Yes! It would be worth a visit. 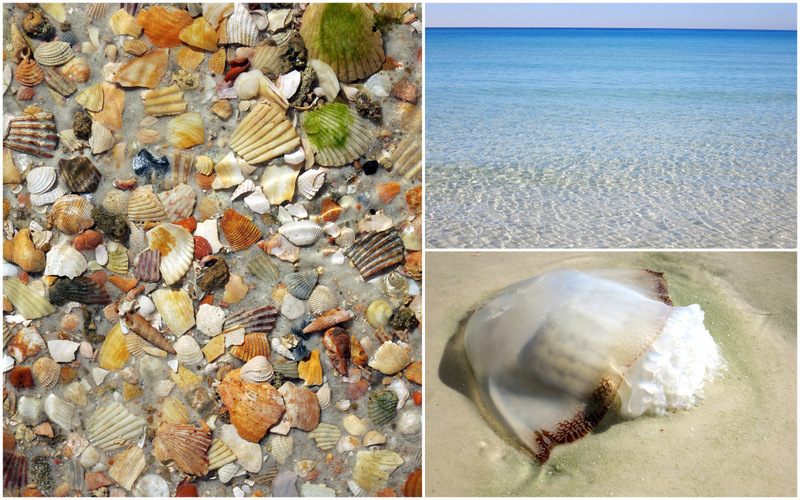 Some beautiful pictures there – the lagoon, the sunset, the beach, the shells. Great life you lead! Awesome! I am definitely growing to appreciate Florida. We’ll have to think about St. Andrews as a layover stop on our way north this spring. Thanks for sharing!